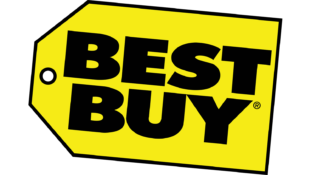 Best Buy touts itself as the number 1 retailer of consumer electronics. This is probably the case considering there are so few retailers dedicated to these items that aren’t a big box retailer. They’ve done a great job at branding themselves as such. And, are readily available in most shopping areas. Their Geek Squad services come at a premium. But, are well-used since a lot of their clientele aren’t the type to dig deep into product listings and work on devices themselves. Basically, Best Buy is your generic electronics supplier for the masses – nothing special but still offer a good selection of products. The Best Buy affiliate program is lackluster. This program pays 0% commission for most electronics including laptops, video game hardware, and other devices. Yes, you read that correctly. They also pay just 1% for “all other products” found throughout the store (think: inks, TVs, etc.). And just 1% for their Geek Squad services. They do, however, pay a $5 bounty for phones with service plans. Meh. The only real good part of the Bestbuy.com program is its support. But, that’s not saying much when you’re not earning much with the partnership. All we can say is… wow… how underwhelming. The Best Buy offers and promotions found through their program are downright abysmal for its partners. The affiliate commissions are almost non-existent making it a far better choice partnering with one of several, other electronics brands. Sure, you get the brand awareness and in-store pickup… but that’s not enough to carry this program. In all, the Best Buy affiliate program is okay if you’re showing comparison deals – and driving people away from their sales (which may turn into a viable tactic, ha!). Join if you want to list products attached to the brand otherwise seek opportunities elsewhere. If anything, we hope this gave you something to consider with your affiliate promotions in the retail niche. The fact that big brands don’t always necessarily mean big earnings.